What is Apotheracy87 and how does it work? Beards are have become more fashionable for men. There is something different about a man with a well-groomed beard that you just want to stop and stare, but you will also notice if he is not well groomed! 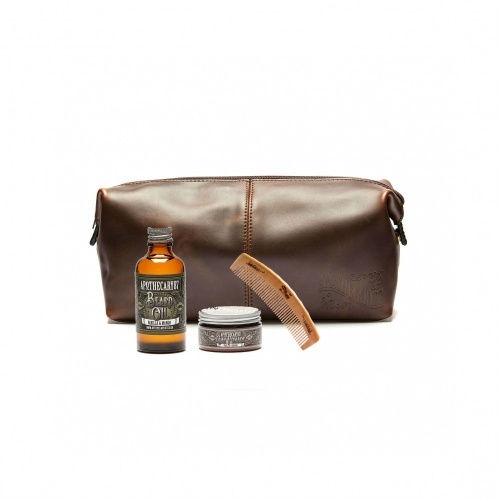 Luckily, there are many products in the market that can help with grooming your beard and they are called bearded oils. 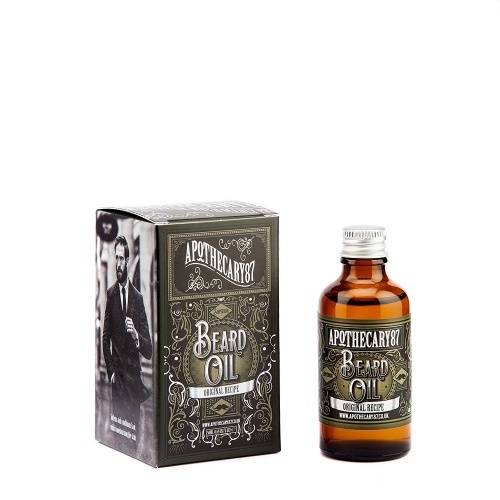 If you are still not convinced why you need beard oil, here is one brand that will convince you - Apothecacy87. What are Apotheracy87's other qualities? 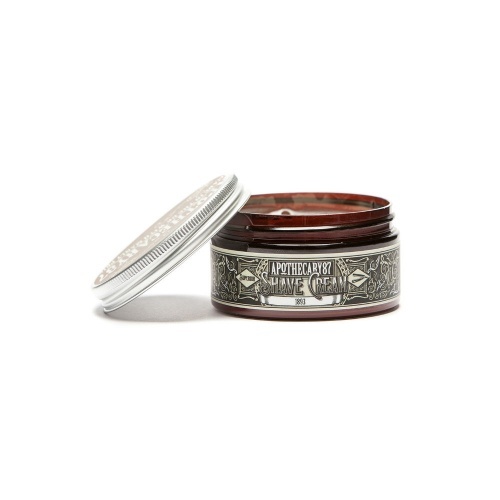 Softness: From the moment you apply Apotheracy87 to your beard, you can feel its benefits. 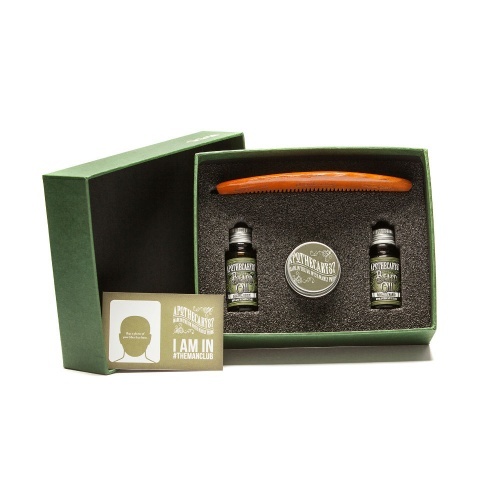 You get instant and all-day softness and you will notice how great it feels as you work it through your facial hair. 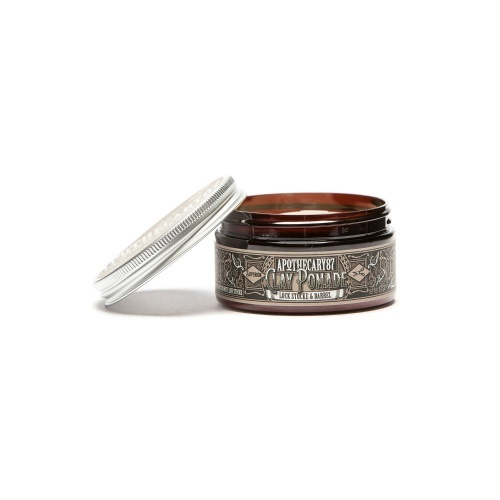 You can use it both as an overnight condition and a day wear, the results are always the same - fantastic, softening and making your facial hair manageable. 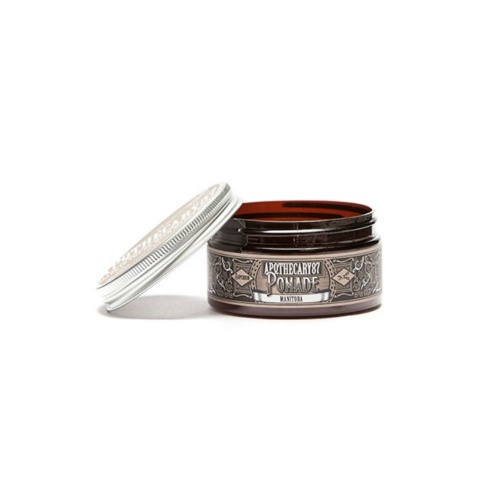 Shine: Apotheracy87 will add healthy luster and sheen to your facial hair making it stand out. 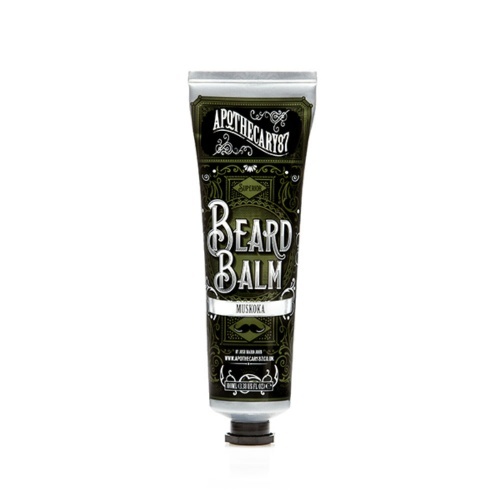 It breathes life to your beard and enhances its appearance. 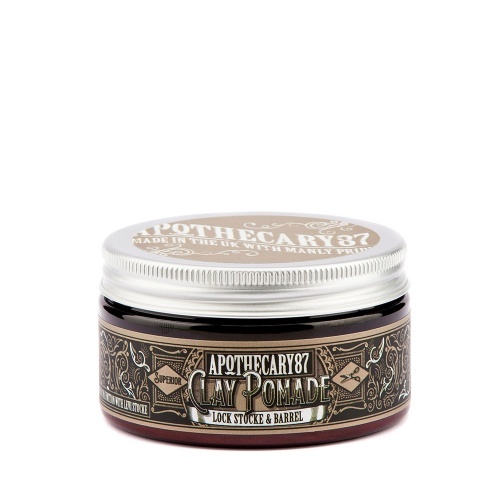 Scent: If you have not tried Apotheracy87, the scent is one of the main reasons it stands out from other brands on the market. It has a positive aroma depending on the different ingredients used, you can open the bottle and straight away know what it contains from its scent. When you apply and as the day goes on, the scent sticks with you, creating that fresh smell all day long. If you are allergic to the scents, you can get the unscented one. It's available in all the different ingredients named above. 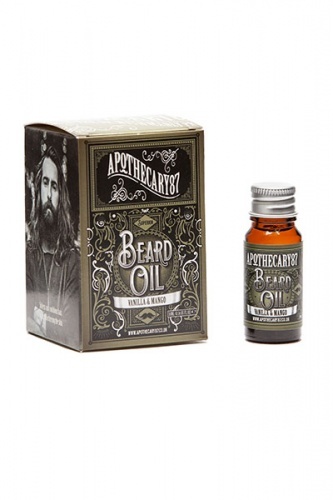 When it comes to beards Apotheracy87 has it covered. 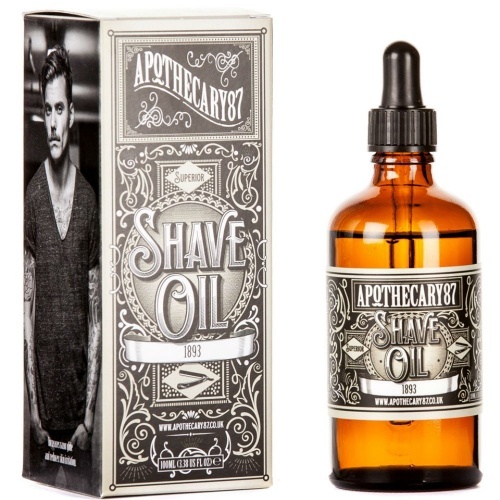 Apotheracy87 beard oil male grooming products are the next big thing. 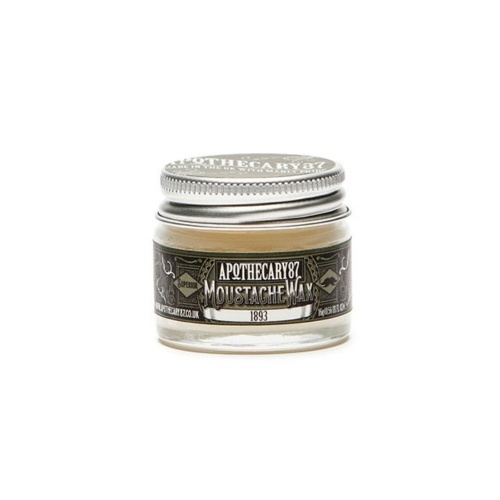 Apotheracy87 products help in hydrating the skin beneath your facial hair, in the process, softening and taming your beard hair. 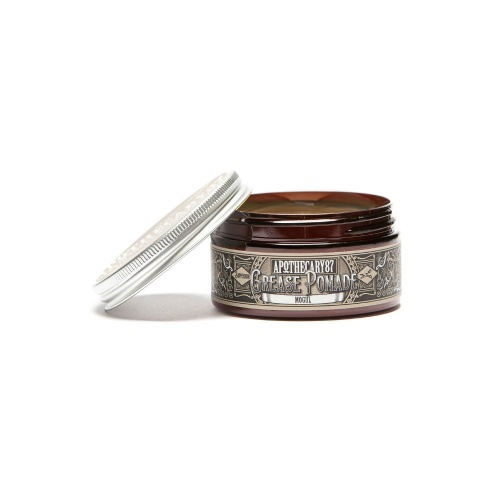 This means it can double duty as a styling agent and moisturiser. A well-groomed bearded man should have a beard that looks shiny, not flaky and shaggy. 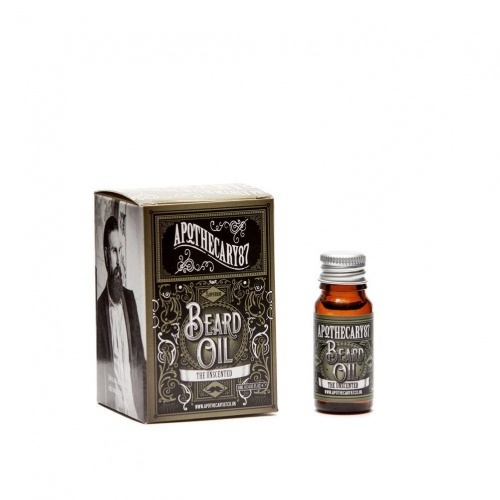 Apotheracy87 is not greasy and you only need a small drop for each side of your moustache.